Walk through the front door of Centennial Place and you will immediately feel the difference. Morning sun cascades into the atrium entrance through cathedral windows. The smile of a staff member greets you warmly as you enter. To your left a group of residents enjoy an animated game of cards in front of a cozy fireplace. Just outside, two women chat over a cup of tea in the courtyard café, visible through large patio windows. What immediately strikes you is how different this is from the impersonal environment you were expecting from a long-term care home. Instead, this is a warm, inviting place that feels like home. 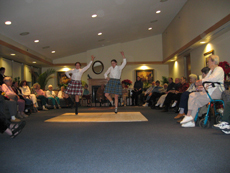 Nestled in a quiet neighbourhood in the village of Millbrook, amidst a region renowned for its horse farms and agricultural land, Centennial Place brings two worlds together: the state-of-the-art features of a "Class A" long term care home combined with the charm and values of the village it calls home. Centennial Place is comprised of four home-areas called "houses", each with a unique character and theme that pays tribute to the heritage of the Millbrook/Cavan region and Peterborough County. These themes create a sense of "identity", promote a home-like atmosphere, and help us to meet the diverse needs of our residents. The residents of each house have their own separate dining rooms, lounges, and meeting areas to ensure a comfortable, warm, and secure environment. To promote a home-like atmosphere, Centennial Place is comprised of four unique home-areas called "houses" to meet the diverse needs of our residents. Each house has a unique local theme with separate dining rooms, lounges and meeting areas to ensure a comfortable, warm environment. The dining rooms in each "house" are filled with abundant aromas and overlook attractive courtyard gardens, the ideal setting for gardening activities or a peaceful stroll. Our non-denominational chapel is tastefully appointed with stained glass and an arched ceiling; the perfect place for spiritual services or quiet reflection. Since we all value privacy and independence, Centennial Place was designed with plenty of spacious private resident rooms with en-suite washrooms and oversized windows. Semi-private and shared accommodations are also available (for two persons), the perfect alternative for couples. Each resident room is tastefully decorated and comes with a bed, bedside table, wardrobe and chair. Residents are encouraged to bring their own furniture and decorations to make their accommodation as home-like as desired. Towels and linens are provided. All rooms are wheelchair accessible and have outlets for cable TV and telephone. Understanding the importance of a clean, safe, and secure environment, Centennial Place was designed to give you and your family complete peace of mind. Constructed to AON's high standards, with experience and a reputation gained over 45 years, Centennial Place has a state-of-the-art fire detection and sprinkler system, as well as a back-up emergency generator. Monitored access ensures privacy. In addition, each resident room has an emergency call system with nursing stations located right in each home-area, so that help is right around the corner if you need it. 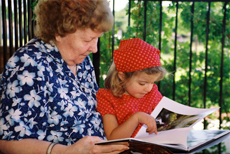 Anyone who has been approved for long term care by their local Community Care Access Centre (CCAC) is eligible to become a resident of Centennial Place. 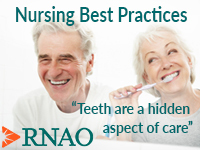 CCAC requirements include eligibility for OHIP and a referral by a physician. 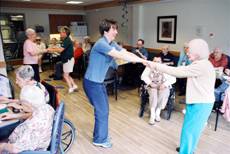 The costs a resident pays for long term care are set by the provincial government as determined by the Ministry of Health and Long Term Care (MOHLTC). How do I see what Centennial Place has to offer? Centennial Place is located just minutes southwest of Peterborough in the picturesque village of Millbrook, with convenient access to Highway 115. From Hwy 115, take County Road 10 east for 3 kilometers. We are on the corner of County Road 10 (Tupper Street) and Centennial Lane, just before you reach the centre of the village. 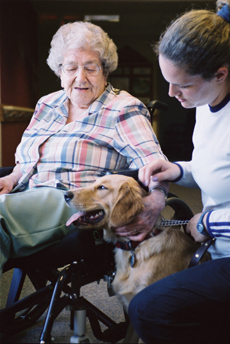 Centennial Place is owned and operated by AON Inc., a family-owned Canadian company with a 45-year history and innovative living environments for older adults. Centennial Place receives funding from the Central East Local Health Integration Network. The opinions expressed in this website do not necessarily represent the views of the Central East Local Health Integration Network.